To get a feel for what we might see in the coming month, we thought we would look back at last year at this time. 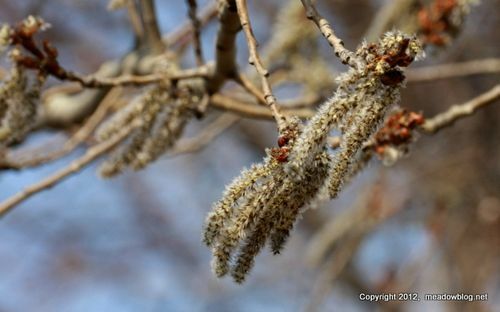 Don’t Forget: April Fool’s Walk This Sunday! Join us on our First-Sunday-of-the-Month walk on April 1 as we look for Great Auks, Passenger Pigeons and Heath Hens at DeKorte Park. 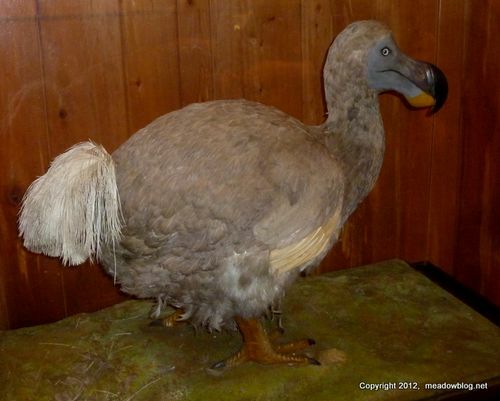 We might even see a Dodo (above). Did someone mention that it's April's Fools Day? And we will look for some real live wild birds, we promise. The two-hour walk begins at 10 a.m. inside the Meadowlands Environment Center — please sign in! The Marsh Hawks Are Coming! 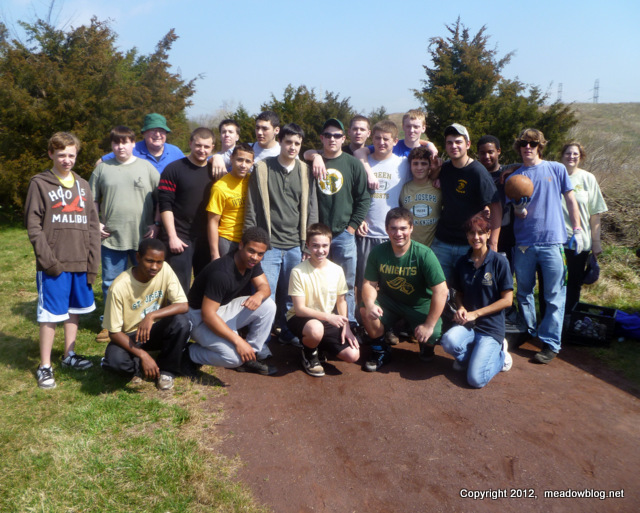 The legendary Meadowlands Marsh Hawks are back! 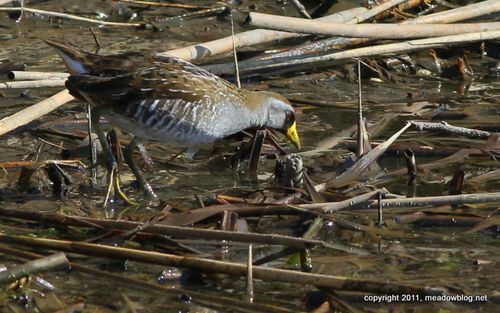 They are preparing for their second World Series of Birding on Saturday, May 12. They will be competing in the county-wide category, trying to see as many species of birds in Bergen County in 24 hours as they can — and raise money for a new native butterfly/bird garden planned for the Carillon area on Disposal Road. 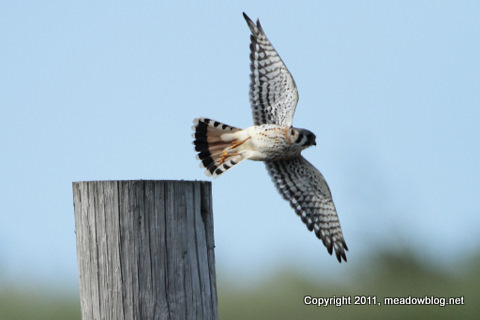 Last year, the Marsh Hawks raised hundreds of dollars for bird research in the Meadowlands. If you contribute $25 or more, you will have a chance to win a spiffy official Meadowlands Marsh Hawks cap and T shirt. Or e-mail Team Captain Mike Newhouse at michael.newhouse (at) njmeadowlands.gov. Revamped, Nature-oriented NJMC Gift Shop Reopening! A bit of news: The New Jersey Meadowlands Commission (NJMC)’s fully revamped Tideland Treasures Gift Shop will reopen this Friday at 10 a.m. with all-new environmentally themed educational games, science kits, birding books, home and garden décor, and more. A Grand Reopening Sale, with all items 15 percent off, takes place through Sunday, April 1. The store is located in the Meadowlands Environment Center (MEC) in DeKorte Park. Items range from jigsaw puzzles, Meadowlands T-Shirts, solar-powered robots and mobiles to beautifully hand-painted bird baths and feeders. 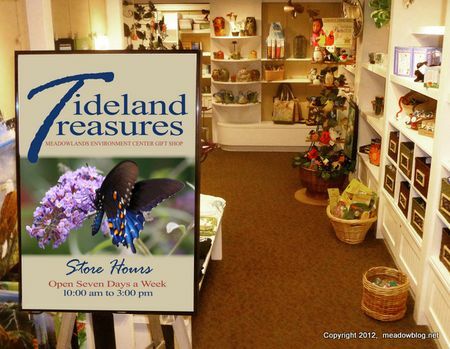 All proceeds from Tideland Treasures sales go directly toward funding MEC programming. Some 15,000 students from more than 70 school districts in Northern New Jersey are participating in MEC education programs during the 2011-12 school year. Tideland Treasures will be open daily from 10 a.m. to 3 p.m. and can be reached at 201-777-2431. 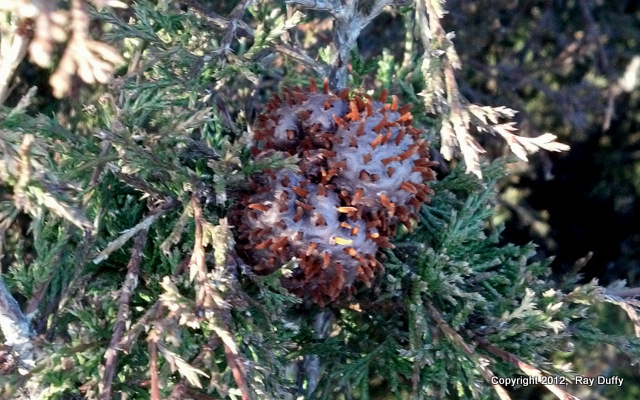 Ray Duffy labeled this cellphone pic "Odd thing in Cedar Tree," from Mill Creek Marsh last week. Who says we shy away from controversy? Here's a multiple-choice Teaser! Last month, the state DEP released a revised list of birds on New Jersey's Endangered, Threatened and Special Concern lists. For those keeping track at home, we are posting a list of the 34 Meadowlands birds out of the 77 on the state lists, including nearly half of the birds that are on the lists while breeding. Two birds seen in the Meadowlands and added to the Endangered and Threatened list are the often-seen American Kestrel (above) and the Red Knot (seen rarely). Holler if you think we missed any. Full lists are here (there's a link on the site to the Special Concern list).